Top 30 Best Android Apps For College Students: So here we will be discussing some apps that you must have on your Android device to sort out some certain college works. These apps will surely help you to sort out problems. Go through the article to discover the apps. We are here with the Best Android Apps For College Students. The world is now engaged and almost everything is dependent on our smart devices like Android. In previous years, only laptops are there to guide students in their work, but now your Android can do all those things with great portability. So here we will be discussing some apps that you must have on your Android device to sort out some certain college works. So have a look at the complete guide below to proceed. College students should download all the apps that we have listed below on their Android device, and these apps will be helpful for them to solve out their problems and managing many works with ease. So have a look at these apps below. CamScanner helps you scan, store, sync and collaborate on various contents across smartphones, tablets, and computers. Using this, you can scan your important notes, assignment, and lots more important documents from your Android device and that will helpful for later reference. LectureNotes is an Android app for taking notes by handwriting on the screen, in particular with a stylus. It has been designed while having a user at university (or at school) in mind, for instance a lecturer who is using it for preparing her/his lecture or even for actual teaching (by writing on the device and projecting the screen content for the audience) or a student who is using it for taking handwritten notes during a lecture. However, it has found many users outside university, for instance, businesspersons who use it for business notes and sales presentations or artists who use it to create sketches and drawings. As dealing with this computer world, there are lots of files based on computer system software like Microsoft office and to open the files of this computer software WPS Office + PDF is the best choice. As it supports all the document file extension and there is no need to install the other apps for each document extension. The unique software coding promises never lagging the operation of your mobile operating system. Night Mode and Mobile View mode for Documents and PDF reading. RealCalc Plus is the pro version of Android’s most popular scientific calculator. RealCalc Plus is designed to look and operate exactly like a real hand-held calculator. It has all the standard scientific functions plus fractions, degrees/minutes/seconds, history, memories, customizable unit conversions, and constants. You can choose from a number of display styles and formats. It also supports binary, octal and hexadecimal calculations and has an optional RPN mode. RealCalc Plus is easy to use but has full help included in the app. As all are familiar with Wikipedia and now there is Official Wikipedia App for Android. Wikipedia is the free encyclopedia containing more than 32 million articles in 280 languages and is the most comprehensive and widely used reference work humans have ever compiled. Students can search out their topic from here and can gain help in their studies. Tabbed browsing: pressing-and-holding a link lets you open it in a new tab, allowing you to keep reading the current article without losing your place, and switch to the new tab when you’re ready. Link previews: Tapping on a link shows a preview of the linked article, giving you a chance to get the gist of the link without losing your place in the article you’re reading. For all the students especially for them, that deals with calculations in their daily routine; this app is very helpful. In this, you can solve out your lots of problems very easily using this graphical analytical calculator on your Android device. The TI-82 is designed for algebra and trigonometry. Graph and compare functions, perform variable substitution and solve single-variable equations. The TI-83 is designed for statistics and trigonometry. Graph and compare functions, and perform data plotting and analysis. This is one of the cool apps for all the college students. Join the 4 million+ people around the world who are accomplishing amazing things with Todoist – the beautifully simple to-do list and task manager built for the pace of modern life. Whether you need to collaborate with your team, keep track of your most important projects, or just remember to pay the rent, Todoist is there to help you achieve more every day. Take your to-do listing to the next level with sub-tasks, sub-projects, color-coded projects, and priority levels. Share projects, assign tasks and add comments all within the app. Choose from 10 colorful themes to fit any mood and personality. Across thousands of domains–with more continually added–Wolfram|Alpha uses its vast collection of algorithms and data to compute answers and generate reports for you. Parts of Wolfram|Alpha are used in the Apple Siri Assistant; this app gives you access to the full power of the Wolfram|Alpha computational knowledge engine. Domains covered by Wolfram|Alpha include lots of subjects that you will love to learn from here. It is one of the best apps for the students that have the interest in their Android and its working. Use this app, one can create simple connections between apps like Facebook, Dropbox, Instagram, Twitter, and Gmail, as well as devices like your Nest Thermostat, Fitbit, and Philips Hue lightbulbs. Over 15 Million people rely on Any.do to keep their life organized with the to-do list, reminders, and notes. Share lists & Assign tasks to accomplish even more with the people around you. This is the perfect app for college students who need to create a to-do list. Assign tasks & share lists to accomplish even more with the people in your life. Add a to-do list item straight from your email inbox by forwarding [email protected] Attach files from your computer, Dropbox, or Google Drive to your tasks. Any.do is a to-do list, a calendar, an inbox, a notepad, task list, aboard for the post its or sticky notes, a project management tool for teams, a daily planner, a family organizer, and overall the simplest and most useful productivity tool you will ever have. We all know that College students don’t get enough time to know everything and keep their eyes on the news. So, Feedly could be the best option for them. It is the single place to easily read all the news you rely on to think, learn, and keep ahead. Feedly lets you organize all your favorite publications, podcasts, and YouTube channels into collections and receive updates when new stories and videos are published. You can access the best books, audiobooks, news, magazines, documents, sheet music, and more — for less than the cost of a paperback? Scribd makes it easy for you to dive deep into a topic, stay in the know, explore something new, or escape into a good story, Scribd is the only reading app you need. 3 books and 1 audiobook of your choice every month. Unlimited access to the world’s largest document library which includes government reports, academic dissertations, detailed scientific studies, and more. Unlimited access to select books and audiobooks, hand-chosen by our editors. Store titles offline to enjoy at any time, without an internet connection. Find mathematics tough? This app is for you! Simply point your camera toward a math problem and Photomath will magically show the result with detailed step-by-step instructions. This app works as a math tutor. The Oxford Dictionary of English is a mobile dictionary with content from Oxford University Press, with advanced search and language tools that have become the staple of quality language apps from MobiSystems. This is ideal for professionals, students, and academics, as well as anyone who needs a comprehensive and authoritative dictionary of current English at work or at home. This app makes math accessible and enjoyable for all students. Using the powerful and blazingly-fast math engine, the calculator can instantly plot any equation, from lines and parabolas up through derivatives and Fourier series. Sliders make it a breeze to demonstrate function transformations. The Flashcards App is a powerful tool to build your vocabulary or to memorize and study anything. You just type in or download some flashcards and start learning. It’s very easy. You can create or download up to 50 flashcards. Different study modes, settings and extensive statistics about your progress and achievements will help you on your way to get better grades. You can additionally use quizlet.com to create your flashcards on your computer and then download them into the app. The Hi-Q MP3 Voice Recorder takes the mobile sound recording to the next level. Feature-packed and loaded with customization options, and with high-fidelity 44 kHz audio sampling, it’s miles ahead of any standard recording app. It works for things like recording lectures or you can use it to record voice notes. It records to MP3 format. Start the app and you are good to go! Press the striking Red button, and you’ll immediately start recording. With automatic upload to Dropbox, your recordings are stored safely and you can free up more space on your device. Learn to Code with SoloLearn! Join the fastest-growing global community of code learners to learn the basics or advance your existing skills. Reach a new level through learning a solo or peer-to-peer interaction in the world of programming. 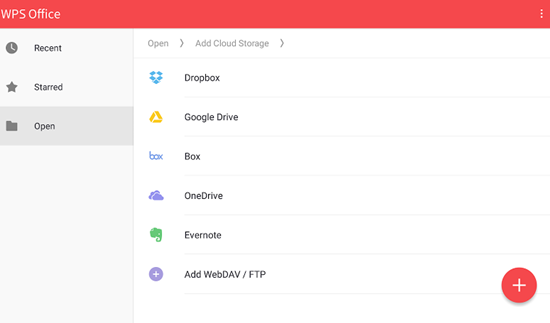 Google Drive is a safe place for all your files and puts them within reach from any smartphone, tablet, or computer. Files in Drive – like your videos, photos, and documents – are backed up safely so you can’t lose them. Wunderlist is basically a best to-list app and it makes it easy to share your lists and collaborate with everyone in your life. Wunderlist instantly syncs between your phone, tablet, and computer, so you can access your lists from anywhere. With Studious, your phone will never embarrass you in class again by going off. Forgetting about homework and tests will be a thing of the past. This app has an awesome note feature that allows you to input any text you want, such as your building name and class room. Self Control helps people to reduce the intemperate use of smartphones. Users can ban some apps for a specified period of time in order to help focus on their study a little more. When you execute Apps for a specified period of time, phone screen will switch to studying time display automatically. After setting weekly and daily, graphs can be displayed. Specific apps that you set can be always executable. If you are looking for an interactive course library with all the graduate and professional exam study material, then you should download and install BenchPrep. In this app, you will find hundreds of practice questions, flashcards, in-app purchases and almost 600 study lessons. he StudyBlue flashcard app is like getting magical powers to transform everything from a music festival bathroom line to boring bus/train/plane trips into productive study time. Hold 10+ million students and 400+ million flashcards in the palm of your hand. EasyBib is the world’s best and most accurate citation generator. With over 10+ years of citation generation and billions of citations generated to date, the app guarantees the most accurate bibliography. Mint is one of the most awesome finance apps which you can have on your Android smartphone. Basically, it’s a financial management app that tracks your budget. You can link your bank account to check balances and spending habits. Get a more complete picture of your financial life. Track bills right alongside your account balances. With one place to keep track of your finances, there’s no need to log into multiple sites. CALCU is one of the most stylish calculator apps which you can ever have on your Android smartphone. The app is known for its look and it also includes scientific functions and shows the calculation history. So, overall, CALCU is one of the best apps for college students. So above are the 25 Best Android Apps For College Students. With these apps, students will get help in dealing with regular tasks with elevated ease and also these apps will make you much smarter in this tech world. So must give a try to these apps and also share with your friends too. Leave a comment below if you want to say anything about our article.